This piece uses an image transfer from a drawing of mine of John Lennon from a famous photo by Ian McMillan. 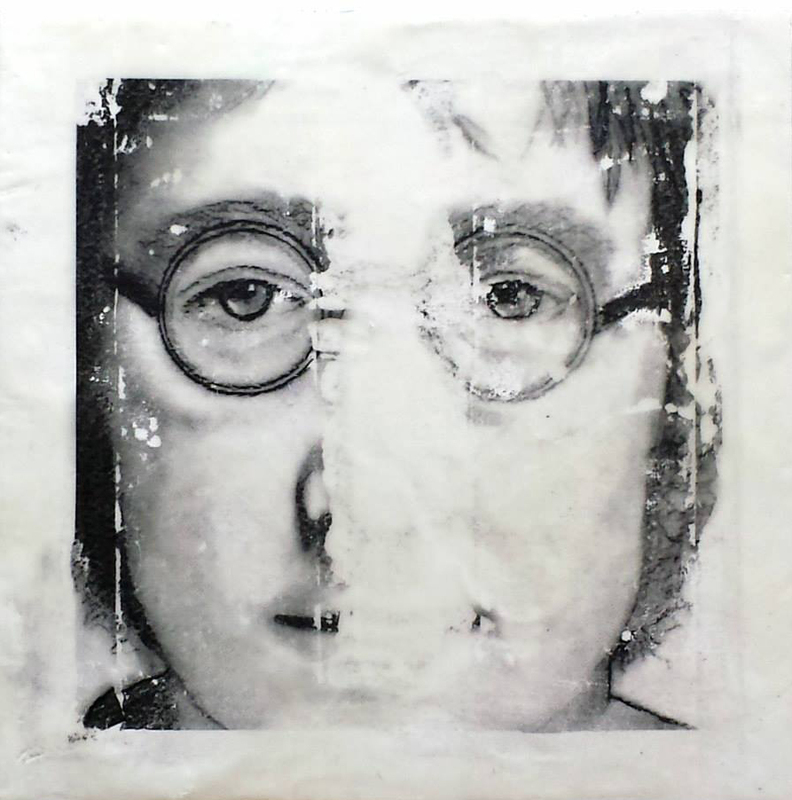 “John Lennon” is 10″ x 10″ on a cradled panel. This piece was sold.